What vocaloid song makes anda want to DANCE?! What Vocaloid songs have made anda cry? anda know, Vocaloid are basically collections of notes that anda can string together to produce music...but the mascot characters on the boxes have personas of their own. Of course these aren't official, but this is just my perspective based on their vocal styles and what peminat-peminat have made them out to be. Enjoy! Here's a compiled senarai of Kelab for each specific Vocaloid people have made over the years of Fanpop! NONE OF THESE Kelab HAVE BEEN MADE sejak ME (except the Nekomura Iroha one) I AM IN NO WAY TRYING TO PROMOTE THESE CLUBS, this is simply a senarai if anda want to find a club for your kegemaran Vocaloid. Cause that's kinda the idea of Fanpop, ya know? Project DIVA can be a little hard to play for beginners. Here is some of my tips and Nasihat from experiance to anyone who has never tried it before but wants to start. Now that Project DIVA F and Project DIVA F 2nd has english versions. I suggest that anda make one of these your first try so anda don't have to pay a large amount of money for an imported game from Japan. An updated senarai of all the Vocaloid release dates, I'll try to update as new ones come out. This senarai is sejak the bulan and hari they were released in. So I'm Penulisan this hopefully to help people who are newer to the fandom and don't really know all of the vocabulary a person may drop when talking about vocaloids. I'm going to try and include as many words as I can and make the definitions as clear as possible, please komen if there's a word you'd like to see on this senarai atau needs a better definition ^^. This a compiled senarai of the Vocaloid that I have known so far. If there any Vocaloid that I have missed, please do tell me sejak POSTING A POST ON MY WALL. 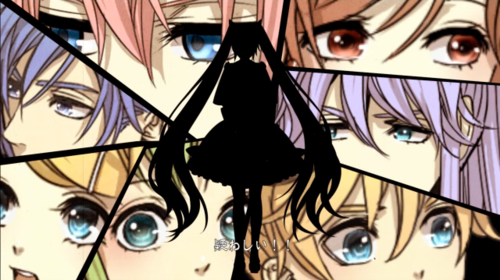 a comment was made to the poll: Out of my kegemaran Vocaloid (6-10) who do anda like the most? a comment was made to the poll: Out of my kegemaran Vocaloid (11-15) who do anda like the most? a comment was made to the poll: Out of my kegemaran Vocaloid (21-25) who do anda like the most?